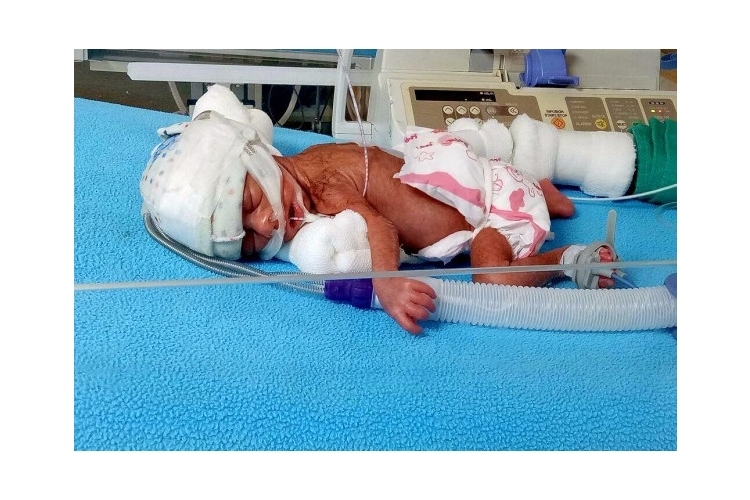 My baby was born premature (28 weeks + 3 days) on 4th July, 2017 with Severe Respiratory Distress Syndrome, in Surya Hospital, Mumbai.She was weighing only 715 gms at birth & as per the Doctors, she is likely to remain in NICU for another 7 to 9 weeks. The hospital expenses are too high. The NICU charges are approximately 15000/- to 20000/- per day (depending upon medications & laboratory investigations). Expected expenses for this are likely to be approximately about Rs. 900000/- (Rs. Nine Lakh). The final expenses may vary based on the actual duration of requirements of respiratory supports, medications & laboratory investigations. My husband & I are trying our best to meet up the expenses however the entire amount is difficult to reach. So I would request all to support us in possible ways. Your share could be as good as a donation for Baby of Cindrella! Not everyone can afford to take care of their loved ones. Baby of Cindrella's life can only be saved by donations made by kind people like you.